Walls of the Krestovsky stadium (aka St. Petersburg Arena, Gazprom Arena, Zenit Arena) and the area nearby will host Festival of Light, a light show with breathtaking pictures created by multimedia performances. 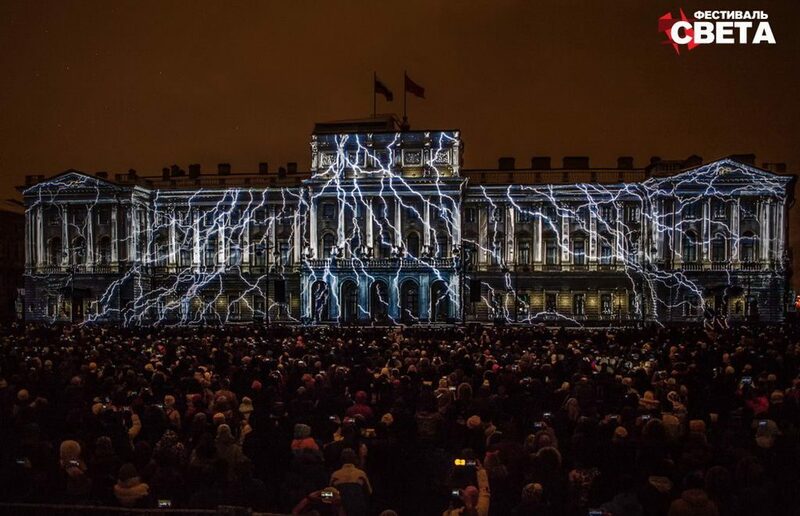 Light shows take place in St. Petersburg regularly attracting great audience and featuring different themes. One of the most popular shows are being held every year on the Palace Square in front of the Hermitage. On April 22, the performance will take place on a new site chosen by residents by vote. The main «screen» will be placed on the facade of the newly built Krestosvky stadium which was officially put into operation in 30 December 2016 and is now under being prepared for hosting matches of the FIFA Confederation Cup 2017. The theme of the new show is still not known, but visiting it is worthwhile in any case. The Krestovsky island is one of the biggest green space of the city filled with amusement park Divo Ostrov and other entertainments like bike rent, zoo etc. How does the light show looks like? Watch a video from a performance on the Palace square 2016. Please, note, that the show can be cancelled due to poor weather conditions.